Sour Cream Chutnee recipe by Almas Ghaziani at PakiRecipes.com. Dice or chop cucumber in small pieces. Add salt , pepper and sour cream/curd in it. 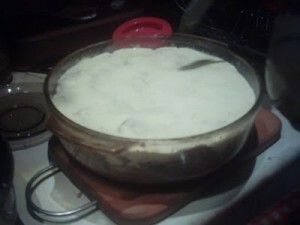 Mix together and put it into frige to get little bit thick. Enjoy with any dish you want.